The Main doesn't show up on any street signs, and you won't find it on any map. If you come here and hop in a taxi, it's doubtful your driver, unless he's a long time Montrealer, will know where to find it. The street signs show the Main as Boulevard St-Laurent. English-speaking Montrealers will often call it St-Lawrence boulevard, or just St-Lawrence, unless they call it the Main. It runs north from the old port clear across the island to the back river in a pretty straight line. The Main officially divides the east and west sides of Montreal from the earliest times when Montreal was Ville Marie. In that sense, it really is the Main. In times past, when immigrants got off the boat, if they began walking north into the city from where their boat would have docked at the King Edward Pier, the odds are they walked straight up the Main. Many, many generations of new arrivals did just that. They had to figure out how to make a living, and to lose no time doing it. As they walked up the Main, they searched for opportunity. It's no surprise then that walking up the Main today is like reading the rings on a tree stump, or the layers of rock in a quarry. 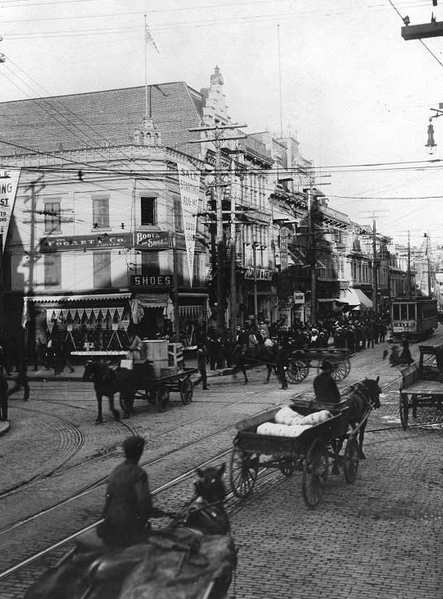 As you head north on the Main you walk along sidewalks lined with the businesses established by immigrants over the last few centuries. 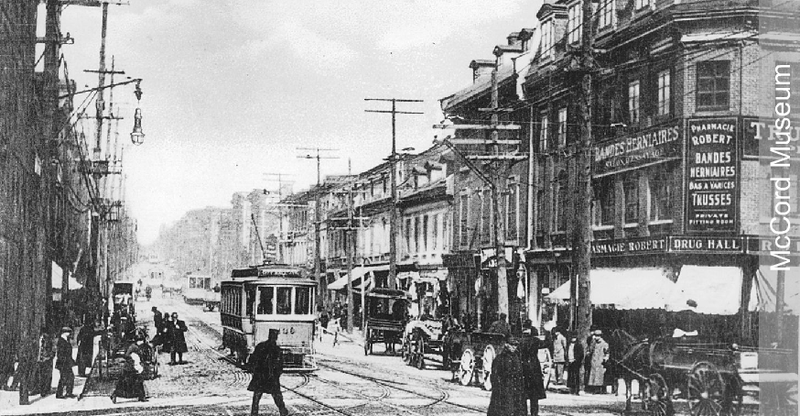 Old Montreal, then Chinatown, then further north past Jewish, Italian, Greek and Portuguese business establishments. Each wave of immigration has left its mark on the city, and nowhere is that mark more easily seen than on the Main. Those immigrants brought bright hope for a better tomorrow, and the skills they learned in the far off lands of their birth. Many of them were talented tinkers, tailors, candle stick makers, and cooks. Among the most lasting legacies those brave hard-working men and women left to the city are the foods they introduced. Today let's focus on what is arguably the most important and sacred of those legacies, the delicacy that defines Montreal more than any other. Yes that's right, I'm talking about smoked meat. Smoked meat is to Montreal as pastrami is to New York City. As you walk up the Main, you eventually come to St-Cuthbert Street. 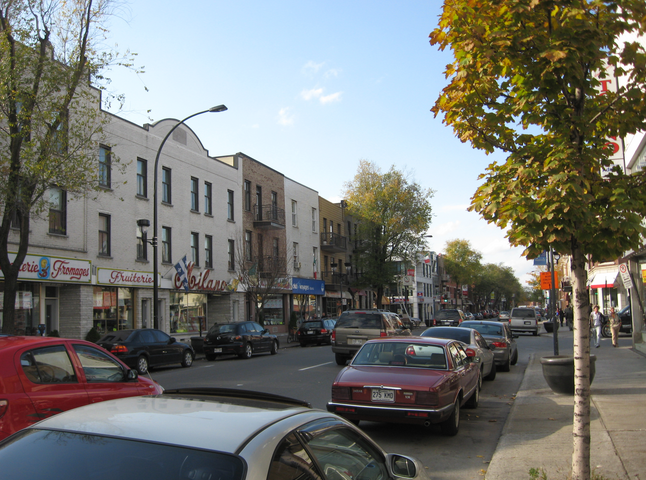 The block of St-Lawrence between St-Cuthbert and Napoleon is the home, the epicentre, of Montreal Smoked Meat. On the east side of the street is Schwartz's Hebrew Delicatessen. Who first brought smoked meat to Montreal is a matter of some debate, and its roots may well stretch way back into the late nineteenth century. A tad more recently, and more verifiably, Reuben Schwartz brought the recipe for smoked meat sandwiches from Romania and opened his restaurant on the Main in 1928. To this day, several owners and one huge celebrity later (Schwartz's is now partly owned by Céline Dion), Schwartz's is synonymous with Montreal Smoked Meat. Right across the street, on the west side, sits the Main Deli. Established in 1974 by Peter Varvaro Sr., the Main Deli also offers smoked meat, and many, many people think that the sandwich at the Main is even better than the fare offered at Schwartz's. It's even rumored that Céline herself actually preferred the Main's smoked meat sandwich. 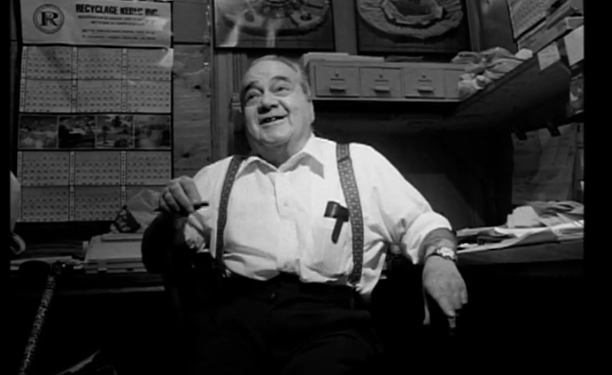 Peter Varvaro Sr., who passed away in 2013, is no less a smoked meat legend than Reuben Schwartz, so much so that Pete, as he was known, is the subject of short documentary by student film makers Jeannette Pope, Zoe Mapp, and Stanley Lewis who won the Kodak Imaging Award in the student section of the 2006 Montreal Film Festival and earned a showing for their film at the Cannes Film Festival, no less. Here's the trailer (to watch the documentary in its entirety, click here). Watching the film, I recognized almost all the people in it. Riding my Vespa to the Main Deli a couple of times a year was time well wasted. Pete Varvaro Sr. did something extremely worthy, and deeply appreciated, that Reuben Schwartz did not manage. 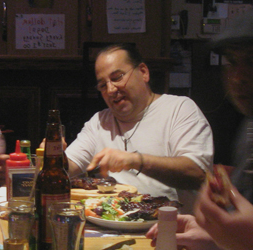 He taught his sons his smoked meat secrets and they followed in their father's footsteps and opened their own delis. Pete Varvaro Jr. opened Smoke Meat Pete's on Ile Perrot, just off the island to the west, and Philip Varvaro opened Delibee in Pointe Claire's Valois Village, steps from the West Island commuter train. The common denominator is simply smoked meat heaven. Delibee is a small unassuming neighborhood deli. Now that we're wrapping up a lifetime spent in this city, it's time to get together with friends and colleagues I won't be seeing as often anymore. That was the occasion for a catch up lunch with a former colleague. She suggested grabbing a bite to eat in my neck of the woods, and I suggested Delibee. My friend and I chatted forever before ordering, and forever after we finished our lunch. At some point I had a chat with Phil Varvaro who was sitting in a booth across from us, on the other side of the restaurant. I expressed my appreciation for a meal that didn't disappoint, and told him he was one of Montreal's best kept secrets. I promised to out him on my blog. Let me just say, that Phil Varvaro, like his father before him, and his brother Pete, makes his own smoked meat and that, my friends, makes all the difference. You can find smoked meat on the menu at just about every deli in the province, and in many delis in other cities in Canada. What you can't easily find, even in Montreal, is the real thing, and Delibee's smoked meat is absolutely heavenly. To my mind, the most classic way to eat this delicacy is to order 'the special' which comes with an order of home made fries, a dill pickle spear, cole slaw, and drink of choice. For some reason, don't ask me why because I can't fathom it, the only time I ever order a Black Cherry soda is when I'm having a smoked meat sandwich. And you're going to just leave this place and move to Toronto? I know. I do love this city. But the lure of our kids is stronger. Besides, there will be a whole new scene to explore on two wheels. Yup, a whole new world to explore, and we get there as exploration seasons begins, perfect timing. Oh, that looks fabulous. I watched the trailer. An important step is the thin slicing of the meat. I'll have to remember this place if I ever get to Montreal. Great post! Thanks Kathy. I am impressed you're catching up so diligently. Tending all the blogs is a challenge.